Abstract This book review examines Chang-tay Chiou's work, Taiwan Hakka, which was published in the People's Republic of China. 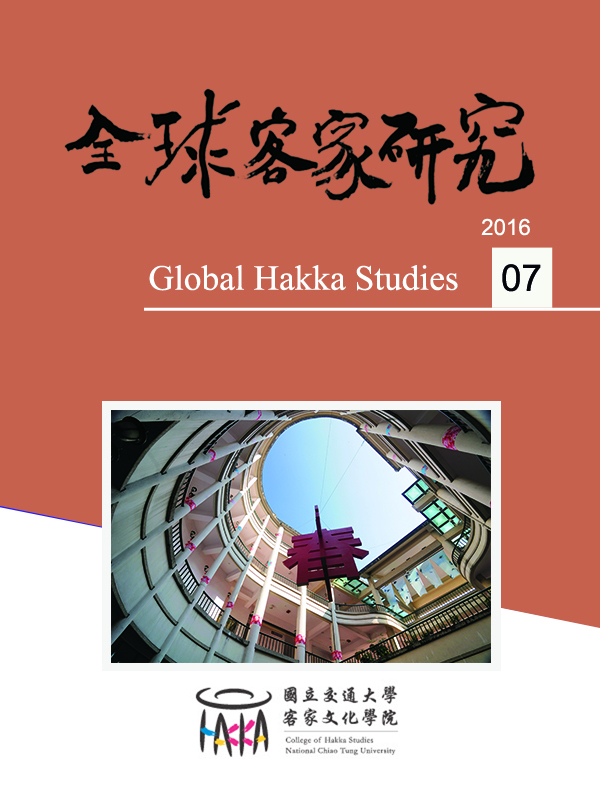 This book diagnoses Taiwanese Hakka's crisis of ethnic identity and cultural inheritance, using social scientific methods toreviewand foresee how Taiwanese Hakka people work hard to pursue their cultural revival through some approaches, such as social movement, political participation and public policy making. This book review tries to shed light on the topics about Hakka immigration to Taiwan during late Ming dynasty and China Hakka and oversea Hakka immigration to Taiwan in contemporary time. Moreover, it criticizes some misinterpretation of the real situation of Taiwan Hakka in this book for the possibly unfair political intervention by the government of the People's Republic of China.